We have always strived to provide our customers with eﬀective solutions which take no time to use. It focuses on combining key characteristics for peerless protection. And it is precisely this combination that makes the KINDSORB what it is. The most practical desiccant available on the market. 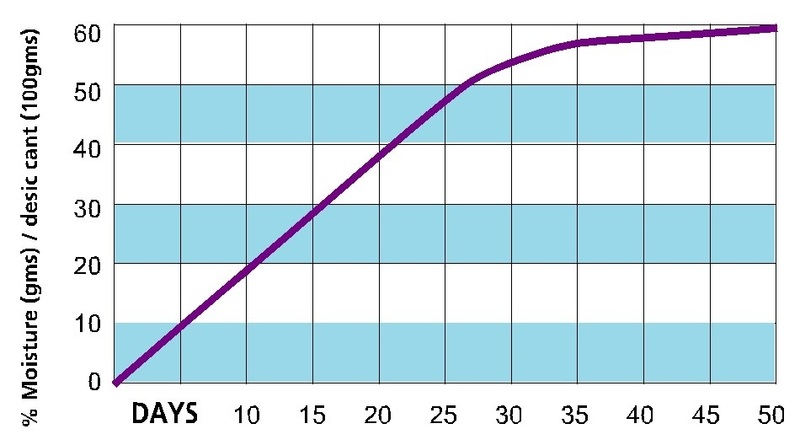 Scientific proportioning of active clay and calcium chloride supply the maximum adsorption capacity. Refined granulation technology brings the bead – trapping the moisture inside the clay, with smooth appearance, completely dust free. 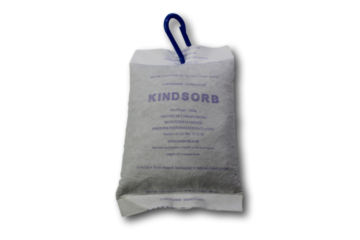 KINDSORB use the strongest spunlace nonwoven 100% polyester fiber Breathable and unbreakable nonwoven means humid air is absorbed rapidly while remaining resistant against tears and puncture. High tech fabric linings combines hydrophilic and waterproof qualities to oﬀer double prevention of any leaks or spills. We create brand new click-on-top hanging hook makes installation easier than ever. 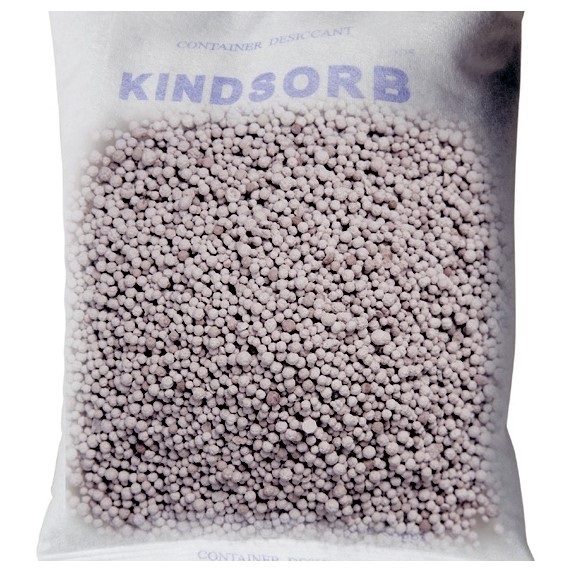 This graph depicts KINDSORB absorbing over 50% of its weight in moisture. 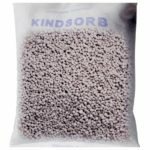 KINDSORB will continue to absorb moisture for over 50 days inside standard shipping. at 95% RH 95°F. 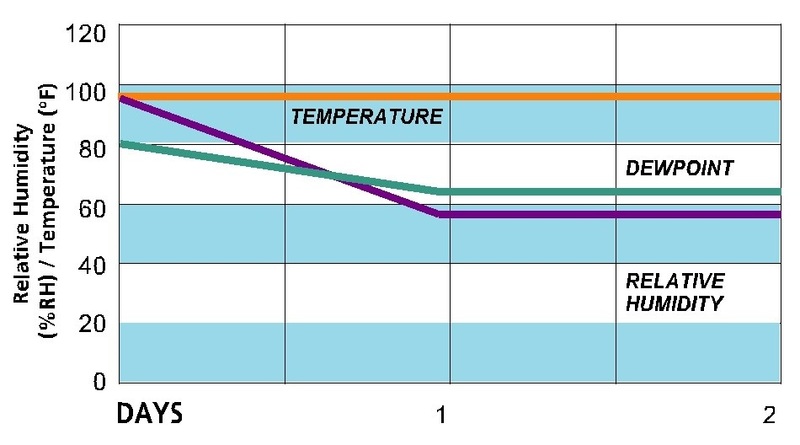 By reducing the dew point. 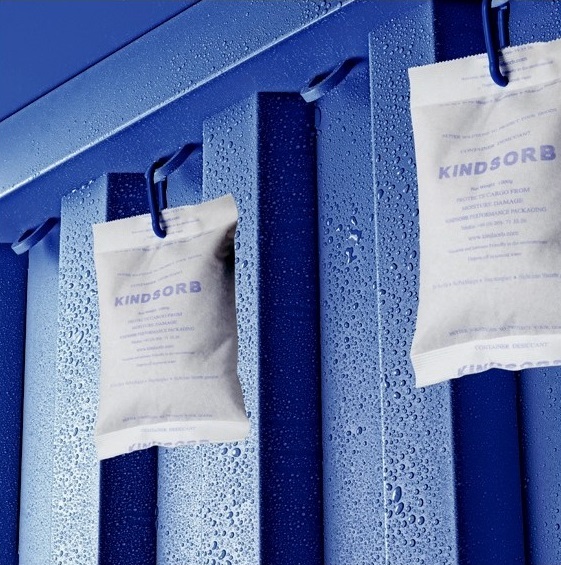 KINDSORB prevents condensation from forming for over 50 days.